A migrant mother impaled herself on pieces of rebar last Friday after attempting to climb the border wall between the U.S. and Mexico. 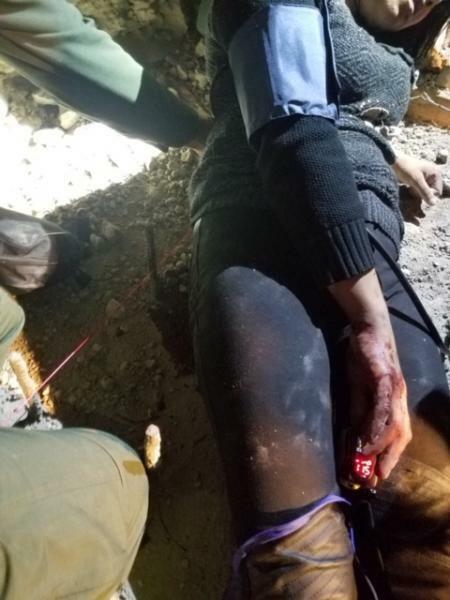 According to a press release from U.S. Customs and Border Protection, a 26-year-old women fell from the primary border wall near the San Ysidro Port of Entry and landed on pieces of rebar that pierced her side and buttocks. The woman was with her two children, who are three and five years old, when she attempted to cross into the U.S. illegally near the San Ysidro Port of Entry shortly after 8:00 pm. Border Patrol agents assisted the woman and had her taken to the hospital, where she is being treated for non-life threatening injuries. Her children were also evaluated for any injuries before being released into Border Patrol custody. San Diego Sector Chief Patrol Agent Rodney Scott criticized the woman for putting her life and the lives of her children in danger. The San Ysidro Port of Entry was closed temporarily Sunday after hundreds of migrants attempted to storm the border and attacked border agents with bricks and rocks.